(Newser) – Executions and new death sentences dropped to their lowest numbers in decades in 2014, an anti-death penalty group said in a new report. The Death Penalty Information Center, a nonprofit organization that opposes executions and tracks the issue, said 35 inmates were executed this year and 71 have so far been given death sentences. The last time fewer inmates were put to death was in 1994, when there were 31 executions nationwide. The number of new sentences is the lowest in the 40 years that the center calls the modern death-penalty era. Since executions resumed in 1977 following a halt imposed by the Supreme Court, the number of executions peaked at 98 in 1999; that same year, 277 inmates were sentenced to death. Come on TEXAS!! KEEP UP THE PACE!! With these LOW-LIFE CRIMINALS who need to TERMINATED!! There ya go!! I'm totally against it. This is from the absolutely insane amount we spend to run the death row units. We could simply commute all death sentences to life without parole. Then the death units could be converted to accommodate those same prisoners but with way less operating expenses such as legal defense costs. Many states don't have enough pubic defenders who handle death penalty cases. So that means they go out to lawfirms to take the reins. That means these guys bill the state at like $350 per hour and it runs into the millions before the entire course can run full length. 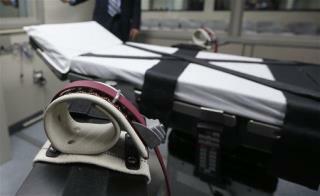 It is not unheard of for a federal death penalty case to run up $15M in legal fees. Tzarnof's case is one of those cases. The potential for a mistaken conviction in just one case is the only thing that allows me to disregard that penalty for those I feel in my heart most deserve it.